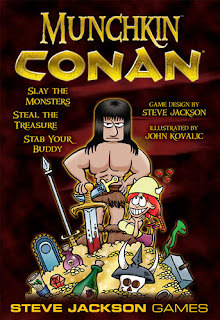 More mayhem from Steve Jackson Games, the makers of Munchkin. Munchkin Conan is a new 168-core set that draws from the entire Conan mythos, giving players Conan's most fabulous treasures, and pitting them against the barbarian's most terrifying foes. Munchkin Conan is entirely compatible with the Munchkin line of games. Finally back in production and available is the Tales of Arabian Nights from Z-Man Games. This game will appeal to those looking for something different. 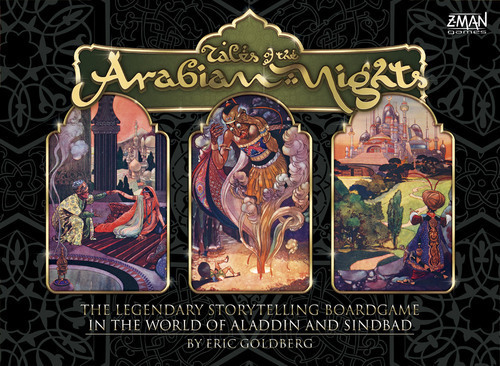 Tales of the Arabian Nights is a paragraph-based board game. During the game you and the other players will encounter all sorts of strange events, beings, and creatures. Each encounter will refer to a Reaction Matrix, which will offer you several choices of how to respond to the encounter. your choice will guide you ta a paragraph in the Book of tales, which will reveal the outcome of your encouter. The skills and statuese of yur character may affect your results, for good or ill!